Tripadvisor is one of my go-to travel forums whenever I am planning to go to an unfamiliar place or my preferred hotel/resort is fully booked. Late last year, we decided to go on a road trip to Tagaytay and stay the night at Wingate Manor which ranked No. 1 at Tripadvisor. 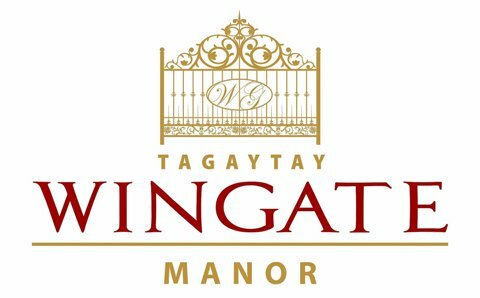 Tagaytay Wingate Manor is a fairly new hotel in one of the most visited places this side of the country. And why not, Tagaytay is just an hour (or maybe two depending on the traffic) drive away from Manila. Since it was a last minute decision, we were required to pay the full amount a day before the trip to guarantee the reservation. The rate for a Honeymoon Room (the only room with a queen-sized bed) is Php4,300 that comes with free breakfast and an hour massage for two. We arrived around 3pm in Tagaytay City and went straight to Wingate Manor. The hotel voucher has a map attached to it that made it easy for us to locate the place which is about 2 kilometers away from the main road. Check-in was a breeze and the staff were so helpful and eager in answering all my queries. I love the common area outside the rooms, perfect for a night of lounging with a cup of hot coffee, or in my case, hot chocolate to fight the cold Tagaytay breeze. If only they have a better view. Our room is located on the second of the building. First thing I noticed when I entered the room was how simple and tidy it was. Each room is equipped with air conditioning, LCD television, toilet and bath with hot and cold shower and a mini bar with refrigerator. The linens smell so nice! The bed is just perfect -- not too soft but not hard either. The pillows on the other hand were so soft, it's like burying my face in feathers. Once again, if only we had a better view. The bathroom was well-kept and very clean as well. The pool is open from 10am to 7pm only. With the cold air touching my face that afternoon, there's no way I'm taking an invitation for a night swimming, no matter how tempting it was! Complimentary massage can be availed at Wingate's in-house massage area. Make sure to tell the receptionist what time you'd want to take it because if I remember correctly, there are only two therapists available and they're on a first come first serve basis. The gate is always closed and there are guards on duty to check the guests coming in and out of the property so everyone's safety is taken very seriously. They have huge parking space! Tagaytay Wingate Manor tops the list of the most recommended hotels in Tagaytay and I see why -- the staff are friendly, the rooms are clean and if you prefer a quiet time in the city, this is the best place to go. But for Php4,300 a night, I think that Wingate is a bit overpriced. Most hotels in Tagaytay can get away with charging more because they offer a great view of Taal Volcano or have luxurious facilities but for a hotel with none of both, I'm surprised a lot of people still pay for the same amount or even more. But then again, to each his own. If only I could afford a room at The Inn at the Cliff House, that would be awesome!